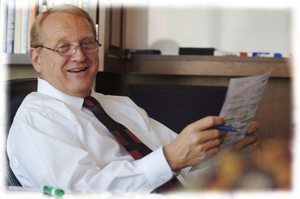 Bil Jeppson co-founded Financial Strategies Institute in 1994 with a mission to empower people through professional advice and financial education. Bil Jeppson is now retired, and no longer provides financial planning services. Bil has conducted numerous training courses over the past decade. 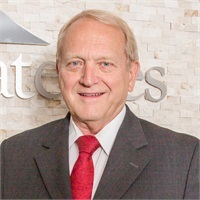 He has taught financial planning at the Continuing Education Departments of the University of Utah, Weber State University, and other institutions. Drawing from his extensive background, Bil helped craft the firm’s investment philosophy. Financial Strategies Institute believes that proper planning is the key to achieving a comfortable retirement and that each plan has three objectives: substantially reducing risk, producing reasonable growth and income, and addressing lifetime income strategies. Bil has been instrumental in guiding the firm to its position as a premier source for financial education on the Wasatch front. He specializes in serving clients’ financial planning needs, including pre-retirement planning, retirement planning, and estate planning. Bil received his BS in Marketing from the University of Utah and his MBA from the University of California, Los Angeles. He also successfully completed the demanding requirements to become a CERTIFIED FINANCIAL PLANNER™ professional through the Certified Financial Planner Board of Standards, Inc.
A long-time Utah resident, Bil is a devoted family man who also commits his time to serving in various leadership roles in church and business communities. Since his retirement, Bil is no longer affiliated with Securities America.